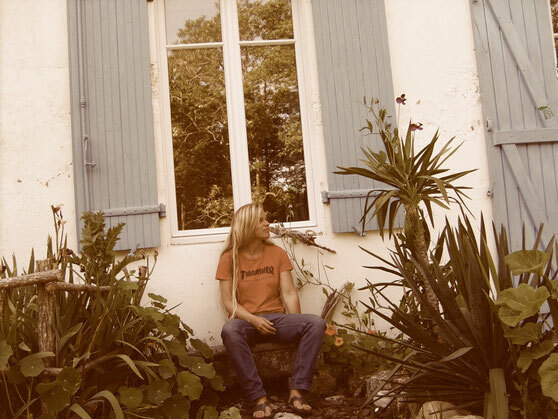 Born in Germany and a former fine art student, Gesa Ronge has chosen to live in France in the Gironde region. This artist, who has been inspired by the sea and her travels, makes use of all types of materials while her biggest inspiration comes from wood. Crafting a massive wave with driftwood, she was able to make her mark among European circles. 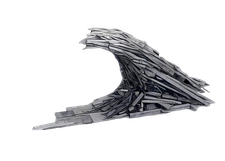 Another sculpture - ´Window on the ocean´- is a creation, no less personal or poetic than the wave, is once again constructed of driftwood. She loves the natural material, its rough surface, the irregularities and heaviness, all symbolize an unwavering quality to her. The sculpture is a giant frame representing a living tableau set out over the ocean. With this work, Gesa allows the viewer to determine their own view by choosing their own perspective. The scenery, captured and isolated from its surrounding environment, takes on a new dimension and invites us to look at this living tableau differently and rethink the way we see the ocean. The inspiration for Gesa's art is tangible in, at and by the sea. Many sketches, India ink drawings and photographs evolve during her travels (in Europe, Morocco, South Africa), which on returning home are further developed into models using wood, cement and other materials. The drawings and paintings from 2007-2013 attempt to evoke the emotions of the people whose souls are closely connected to the ocean. Calmness, repetition and waiting until the minimal moment of perception. Material used: India ink, colour print on linen, canvas, thin paper, various shades of grey in colouring.